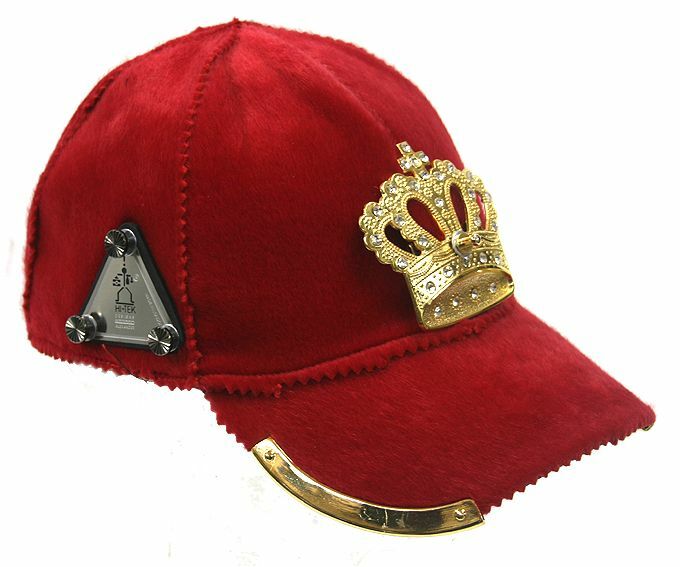 Red wool baseball cap with gold metal crown encrusted with rhinestones. Suitable for performing artist, rapper, hip hop, DJ, video styling. Has Ã?ÃÂ ragged edges. Customised with stainless steel metal logo and stainless steel edging. Metal crown. One size. Adjustable strap at the back.